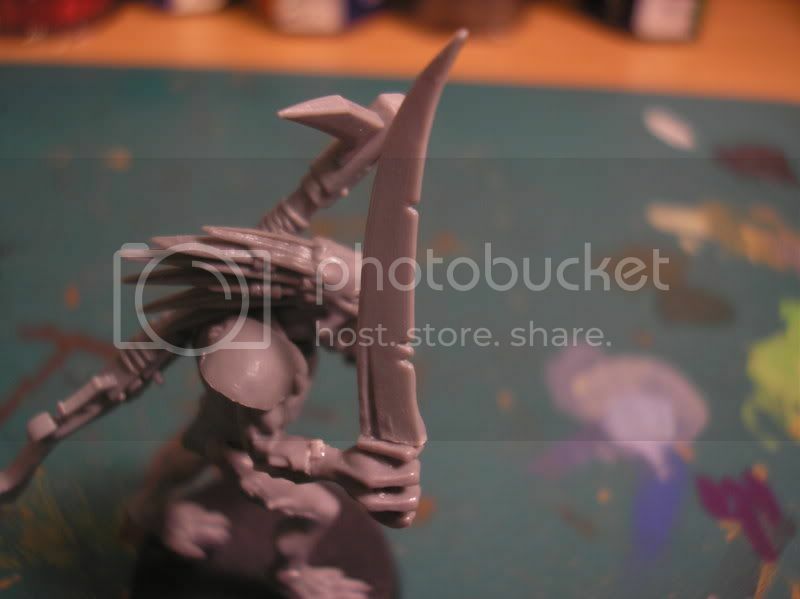 Here are the new kroot I&#39;ve been working on. C&C are appreciated, and I will respond if you ahve any models posted. The one with the big sword is my shaper. 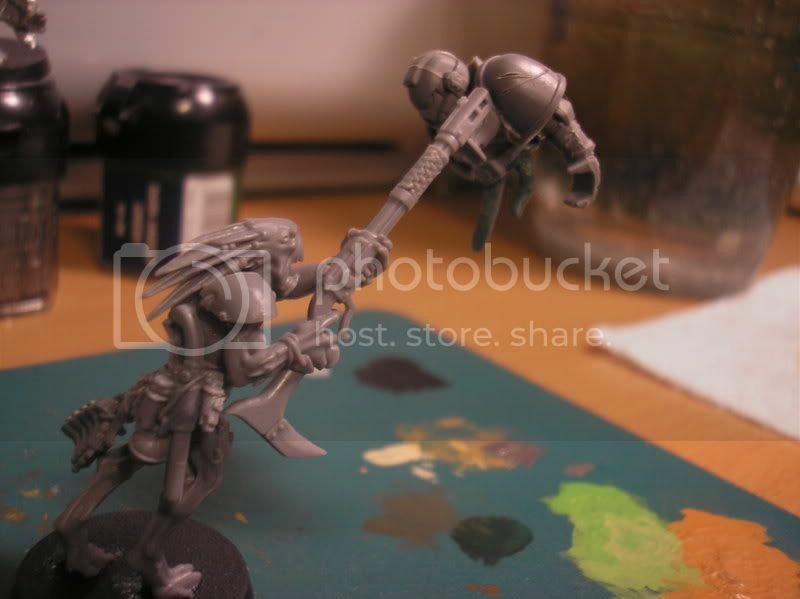 One is impaling a space marine, and the guts I sculpted myself. 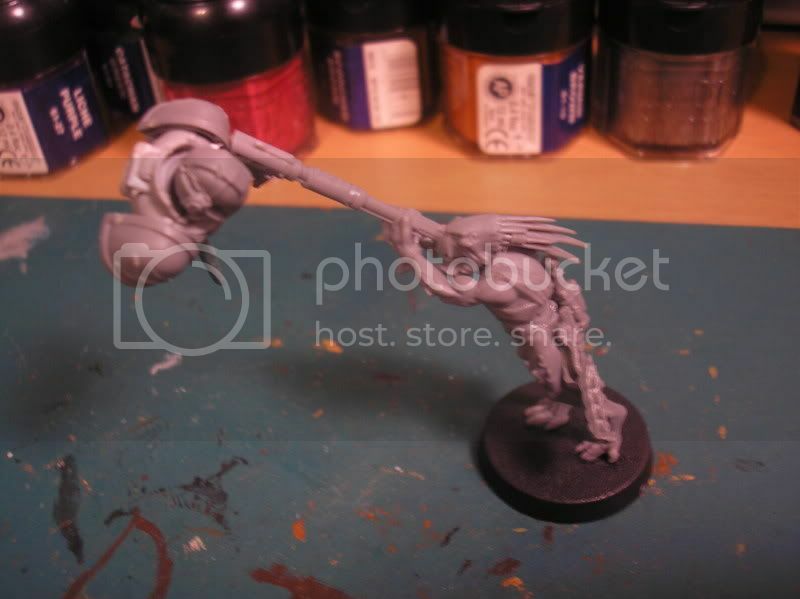 The hand in the Kroot hounds mouth is from the impaled marine. 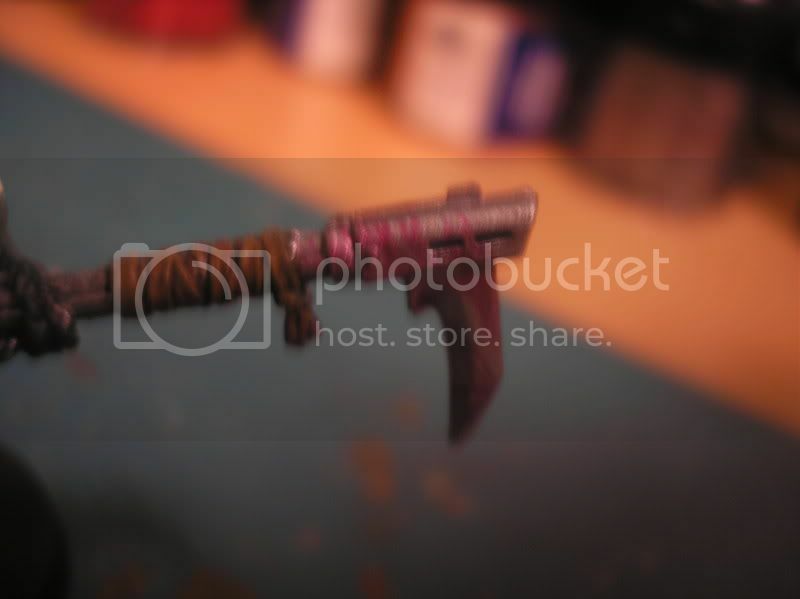 The first few pictures are so bad it&#39;s pointless posting them. The rest are clear enough to make out your outstanding work with this model (although this really belongs on the painting board). You could do with cleaning up the mould lines on the Space Marine in particular, but otherwise it looks great! 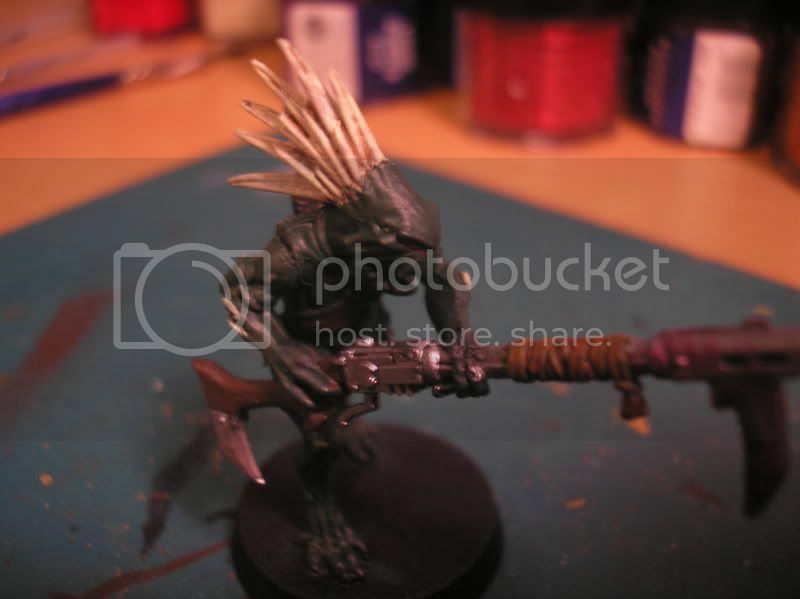 The painted Kroot warrior in the bottom photos looks very good, although we may perhaps benefit from photos taken from a greater distance; these are a little too close. 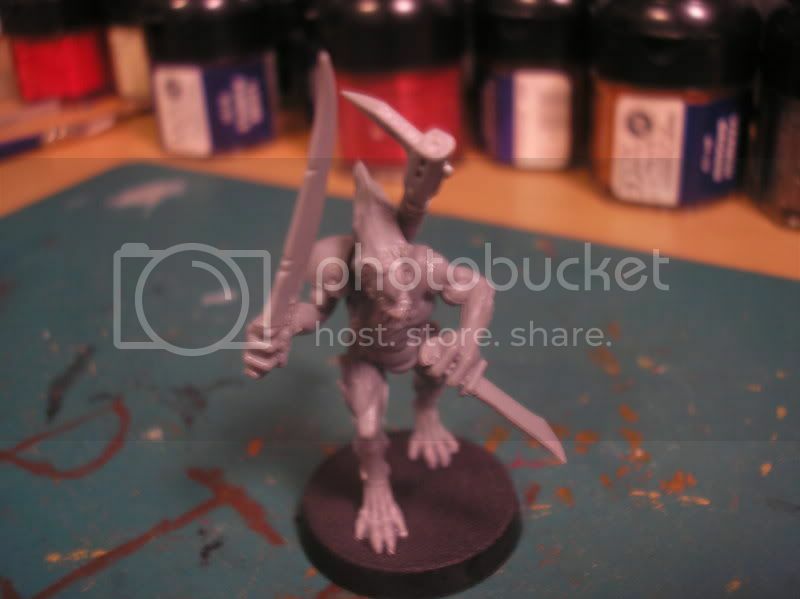 Also, you should definitely base your models. It&#39;s criminal to spend so much time painting the model itself and then fail to spend five minutes flocking the base. Properly based models look so much better. 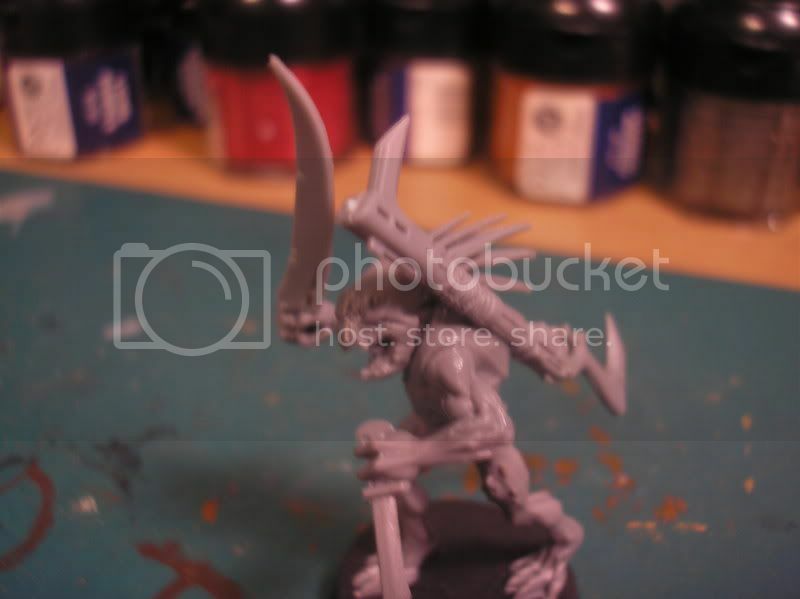 If you&#39;ve not already done it, might I suggest weighing down the base of the unpainted Kroot with spare chopped-off metal bits? 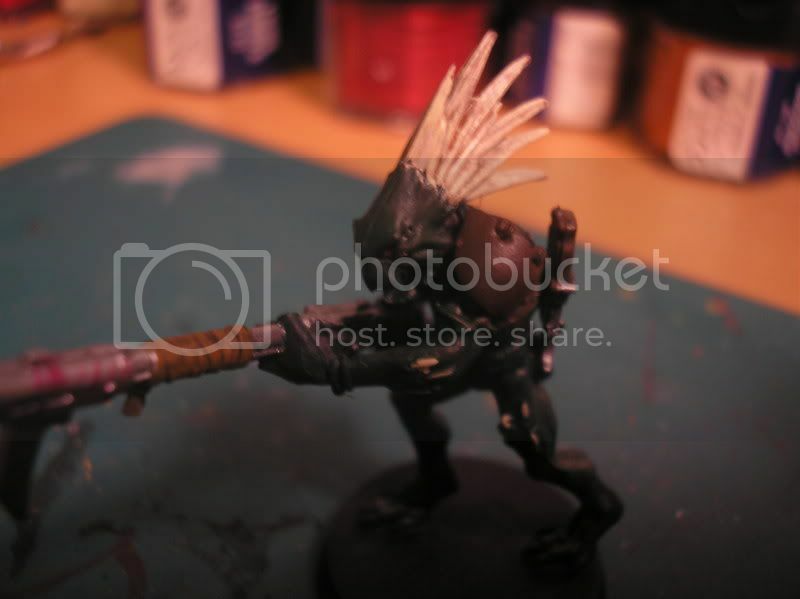 The pictures were taken literally before the paint had dried on the one painted model, so the base is yet to be done. And eys I weighed down the one kroot with a nickel, he would never stand without it.